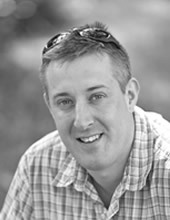 Drew specialises in early stage project development and remote exploration as well as GIS, QA/QC and logistics. Having worked with or consulted to a number of Major and Junior mining companies he has developed strong communication skills and a wide range of practical field skills. Drew graduated with Honours in Geology from the University of St Andrews in 1997 and spent time in the Aberdeen oil industry before completing a Master’s degree in Mineral Exploration at the Royal School of Mines, Imperial College (1999). He then spent time working with the British Army before starting Rocklore in 2002, working both independently and as an associate exploration geologist with SRK Exploration Services Limited. Drew’s commodity experience ranges from gemstones to precious metals, base metals and industrial minerals. Between 2002 and 2007 he worked on a variety of projects in over 20 countries and on five continents. In late 2007, Drew joined the Altus Strategies team and as geology principal and was responsible for the development of business opportunities and in particular the establishment of Arabian Gold Corporation in Saudi Arabia. In 2009 Drew spent 6 months managing the resource definition phase of Tethyan Copper Company’s world-class Reko Diq porphyry project in Pakistan. During this period he managed a team of over 50 geologists and 8 drill rigs. Drew went on to support Kazakhmys in Kazakhstan in late 2009 and this long-term contract led to Rocklore sub-contracting its first geologist. In 2010 Drew co-founded Tigris Resources Limited which was dedicated to exploring and developing gold and copper resources in SE Turkey. This region has been largely unexplored and overlooked in recent years due to political instability but remains one of the final pieces in the metallogenic mosaic that makes up the Tethyan Belt. Over the past five years Drew has found himself providing strategic support to the Governments of Afghanistan and the Punjab in Pakistan. Further clients have been supported on operational and commercial matters, including: independent technical reporting, support to a large international arbitration, and advice on mining finance. Drew is an executive director of MINEXIA Limited, a specialist mining finance and project incubator, and has recently been accepted as an associate consultant at Enthalpy, a project audit, management and delivery specialist. Drew is a Fellow of the Geological Society of London and a Member of the Institute of Materials, Minerals and Mining with registration as a Chartered Engineer. He also provides specialised advice on geology, geospatial intelligence and stabilisation to Her Majesty’s Armed Forces and is the Secretary to the International Association for Military Geosciences. Through a number of professional associates and corporate affiliations Rocklore provides a spectrum of mineral exploration services to companies operating in remote and challenging locations around the world. To provide an effective, efficient and professional service at a competitive price. To provide exploration personnel who are capable of managing projects in a variety of commodities and in any of the diverse geographic regions worldwide. To identify and subsequently develop future opportunities that in themselves may lead to expansion and diversification within the company. The ethos of Rocklore is that of a ‘no-nonsense‘ approach to the technical, social and economic problems that can and more often do arise during the exploration and development of mineral resources. These hurdles can be overcome through the ability of key personnel to put into practice a wide range of complementary skills during the collection and processing of high quality exploration data. Whilst there are the obvious geological skills required for a field geologist to operate in the field, there are many more that can make the difference between an efficient and adaptive operation and one that stagnates due to lack of initiative and a restricted skills base. The ability to resource, construct and maintain an effective base for exploration operations is fundamental to the success of any exploration programme. The logistical chain that will supply the operation must also be maintained and managed. Furthermore an ability to assimilate languages, new cultures and local etiquette is also an important part of paving the way to achieving results, especially when a close working partnership is required with the indigenous population. The management of additional personnel is also crucial. Motivation, attention to detail and a willingness to listen and resolve problems will enable the operation to run more smoothly. Personnel who have travelled extensively and who are more ‘street-wise‘ to working abroad, in challenging and diverse environments, will ultimately achieve faster results and to a higher quality. Rocklore aims to provide personnel capable of the abilities and experience outlined above. This will permit the client to achieve the results required in a timely manner and as economically as possible. Rocklore has received the bronze award from the Armed Forces Covenant Employer Recognition Scheme (ERS). The ERS recognises commitment and support from UK employers for defence personnel. The scheme comprises bronze, silver and gold awards for employers who support those who serve or have served in the Armed Forces, and their families.